Home / Red Cone Piece – Close or Far? Red Cone Piece – Close or Far? 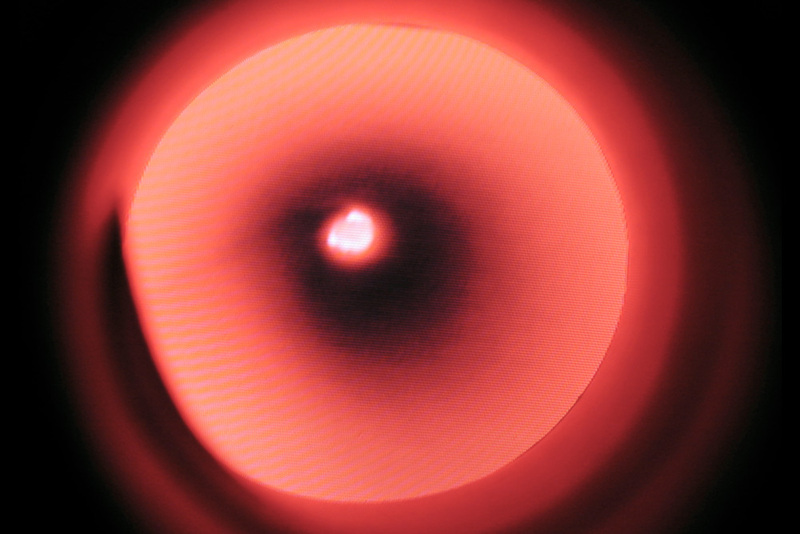 In Red Cone Piece, viewers look into the wall and see a looping video image. There is a sense of “looking in” or “using a telescope” when seeing the scenes. 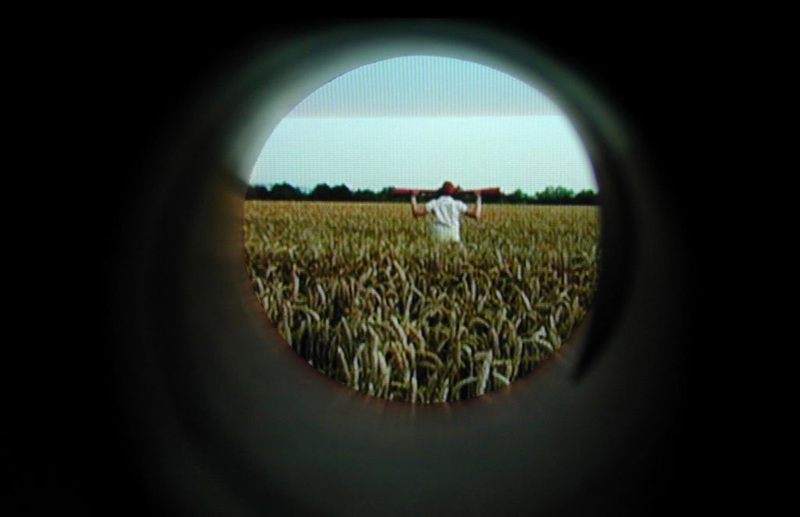 There is a one minute loop of me in a wheat field, holding red cones to my hears: I am a antenna. The other loop is my mouth talking into a red cone. 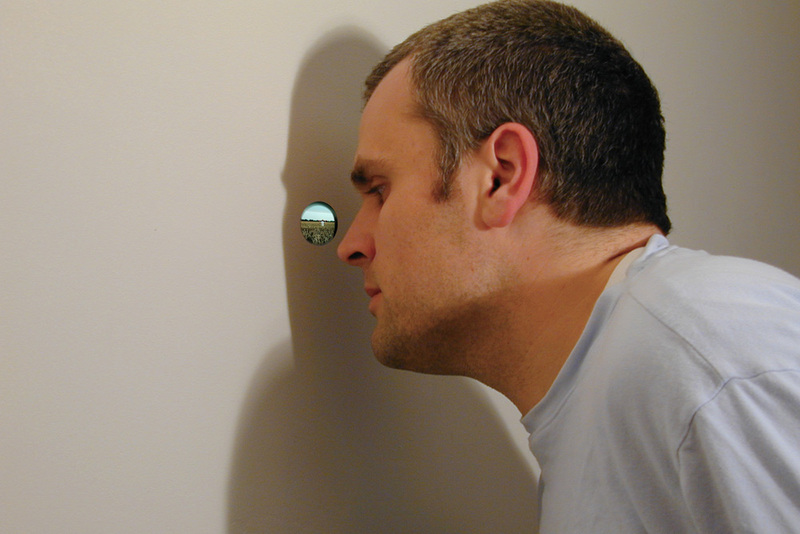 On the ceiling above the wall peekhole – is a video of hands stretching a rubber band out and in….close and far.